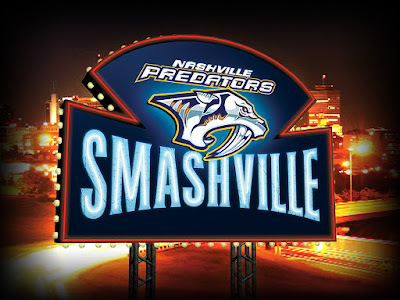 The Broadway Smash: Preds Party with a Purpose Announced! Downtown Stanley Cup Watch Party Details during CMA Fest Week! On June 3rd and June 5th, a stage at Fifth and Broadway will face the Cumberland River, with large screens at the stage and in other locations. Broadway will be closed between Fifth Avenue and Third Avenue. The site will open at 3 pm, a pre-game concert featuring special guest artists (TBA) will start at approximately 4 pm, the pre-game broadcast will be shown starting at 5:30 pm, and the game will begin at 7 pm. The party moves inside the Bridgestone Arena for the Thursday, June 8th game at Pittsburgh. Doors open at 4 pm and the puck drops at 7 pm. If game 6 is necessary, the celebration will return to Lower Broadway at 4 pm at Fourth and Broadway and on Fifth Avenue, with overflow at Walk of Fame Park in partnership with the CMA Music Festival. This is an exciting time for the City of Nashville! Let's all come out and support the Preds as they seek their first Stanley Cup Championship!